They are easily accessible (they are there when you need to speak to them and not only when they need to speak to you). They will assist you with your school and social programme. They will troubleshoot any problem, including issues related to your accommodation and student welfare. They will suggest places to go to and explain how to get there – to make the most of your free time in Malta. For our teachers, teaching is not merely a profession, it is also a vocation! Our teachers are effective and affectionate communicators. They are more than teachers; they are parents, counsellors and friends. Our Director of Studies will ensure that you are taught according to the methodology most appropriate for your needs and circumstances. The DOS regularly holds private one-to-one tutorials with students to ensure course satisfaction while monitoring progress in English language learning all through the student’s stay with us. All our teachers are native speakers of English. 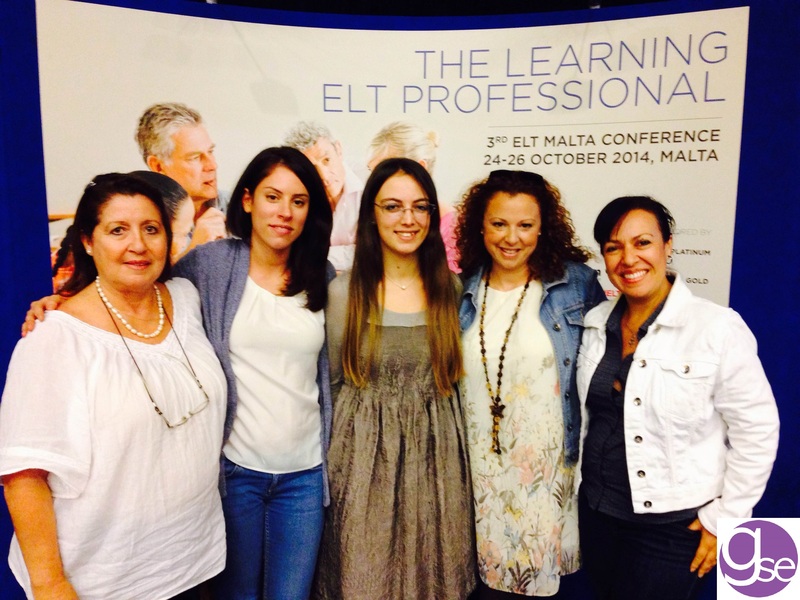 Photo above: GSE Academic Team at the annual ELT Malta Conference held in Valletta. Our teachers are proud professionals…. Expertise: Gateway School of English teachers possess mastery over the language they teach. Our basic quality benchmark is native speakers of English. All our teachers boast of internationally recognised professional English Language qualifications such as CELTA & DELTA. We actively encourage our teachers to keep abreast of pedagogic developments in all areas of English Language teaching. 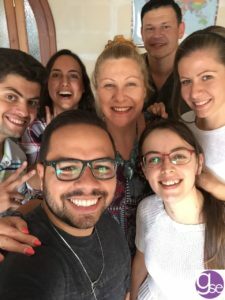 The school regularly organizes and sponsors training and refresher courses for teachers to develop their English teaching and keep up with the latest trends in ELT. Moreover, most of our teachers also have degrees in other fields, thus enhancing the level of academic excellence of our School. Experience: All our teachers have taught English as a foreign language for many years in Malta and internationally. Their collectively vast international experience ensures our School’s cutting edge in our understanding of the needs and problems of students studying a language other than their own in another country. We are thus able to reach out to our students and to make them feel at home, irrespective of cultural difference and starting level of English language proficiency. We know that unless learners feel at home, they will not be in a state of mind conducive to learning a foreign language effectively. Experience teaches our teachers to ‘negotiate’ methodology and teaching materials. We empower our teachers – who, as qualified, experienced professionals recognise each learner’s unique needs and circumstances and, therefore, provide creative tailor-cut teaching solutions for all needs and circumstances – to act with autonomy and to retain operational control over their students. Roman Azzopardi – Director of Studies at Gateway School of English.